Things were bad enough in the decaying city of Bedlam before the psychopathic supervillain called the Cold Killer showed up. Now the authorities are up to their necks in frozen corpses in the middle of a blazing hot summer and the city is on the brink of panic. But when Our Heroes try to stop the Cold Killer's rampage, they get sucked into far deeper and more terrible matters. Because in a place like Beldam, the truth is always so much worse than you think. 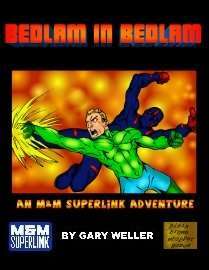 This giant-sized, 201 page adventure comes with its own campaign setting-the city of Bedlam. Crammed with double-crosses, intrigue and secret skullduggery, it's a return to the Iron Age of Comics. Includes more than a dozen full-color maps, more than fifty NPCs, and an in-depth breakdown of an entire secret base, covering seven floors and over 130 separate rooms in lavish detail. Also includes fiendish experiments, nefarious conspiracies, sinister government agents, awful revelations, lurking shadows, stubble-jawed heroes brooding on rooftops at midnight, everything an Iron Age adventure needs! 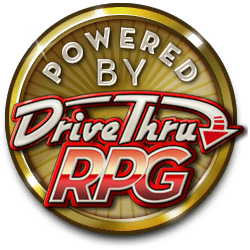 So help yourself to a copy of the biggest RPG superhero adventure ever published! Bedlam is calling!